What is it, in years in which the drivers' title race goes to the wire, with penultimate rounds? The thought occurred to me before the end of the Brazilian Grand Prix just passed - that distinguished by Nico Rosberg abruptly reminding the hordes of doubters that he's not surrendering in the world championship battle - that it all seemed a bit familiar. That next-to-last rounds have a knack of this. Confounding expectations; shifting momentum almost onto its head. And I was fairly relieved to discover subsequently that I wasn't imagining things, as after a think I was able to come up with a fairly extensive previous for this sort of thing. If it seemed familiar, that's because it was. The penultimate round from history that the Interlagos race really put me in mind of was that from 20 years ago, that one held in Japan in Suzuka. And in teeming rain. Then Damon Hill played the Nico Rosberg role, coming into the race still with a mathematical title chance but as far as plenty were concerned as something of an interloper. The other guy - in this case one Michael Schumacher - was the one by consensus cruising to the honours, and then as now the closeness on points at this late stage from many perspectives owed to peculiarity. Subtract unreliability and conspiracies regarding collisions and trips down escape roads and add instead Schumi being disqualified from two races and banned from two more. Each of which Hill took maximum points from. Upon Schumi's return from his ban in Jerez, with three to go, he won as he liked, so as far as just about everyone was concerned it was business as usual. But in the second to last round just as Nico did Damon put in a performance that not too many thought he had in him. Like Nico he had a bit of luck along the way - in Damon's case Schumi was put on a sub-optimum strategy which worked on the assumption that the race would be ended early (it wasn't). Yet also like Nico he didn't need any luck beyond that, as he put in a flawless drive under extreme pressure which was awarded with victory. Like Nico, Damon thus ensured that the final round would not be quite as straightforward for his opponent. There are other examples too of eerily similar phenomena. One indeed has involved Lewis Hamilton, when in a debut year in 2007 in which nothing it seemed would go wrong for him it suddenly unravelled in China, after staying out too long on seriously used tyres he ended up beached in a gravel trap. While it didn't blow the title race wide open it did nudge the door ajar, which Kimi Raikkonen sneaked through in the decider. An outlook-shift happened in the next-to-last round the year before also, this one held in Japan. 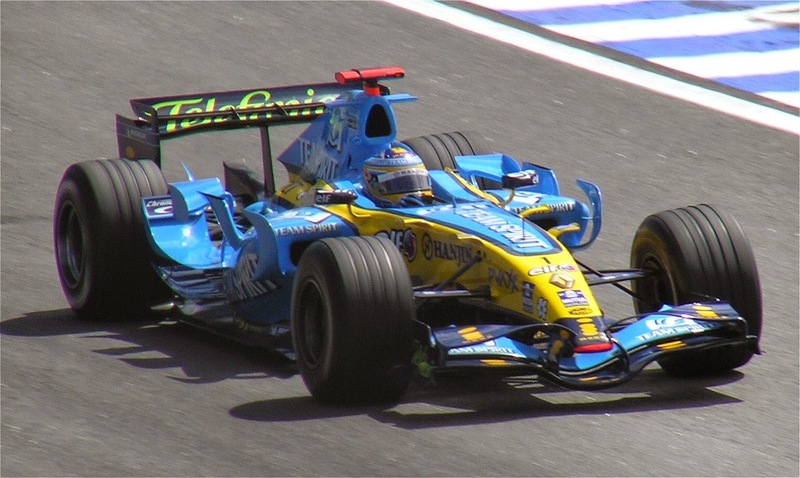 By then Fernando Alonso's commanding championship lead built by the mid-part of the season had been eaten up entirely by Michael Schumacher, who appeared to have all of the momentum. But at Suzuka a competitive drive by Alonso, who on Michelin tyres had been expected to be nowhere, combined with a highly rare engine failure for his rival effectively guaranteed the title there and then for the Spaniard. "Fernando Alonso 2006 Brazil" by Morio - photo taken by Morio. Mika Hakkinen did something similar to the same opponent in 1998's penultimate race - this time at the Nurburgring. He too had a sizeable points cushion of mid-season devoured by Schumi by the time that the championship was reaching its endgame. But therein he faced his opponent down and won out with one of his best ever drives. Schumi didn't always lose out in last-but-one rounds when things remained at stake though. He can point to one or two game-changers in his own favour, such as against Jacques Villeneuve in 1997 at Suzuka when all assumed the Canadian was free-wheeling to the title honours Schumi struck back in the most devastating way (aided by JV getting himself disqualified). You could perhaps include also Schumi's 2003 triumph in the Indianapolis wet, which followed a strong mid-to-late campaign title challenge from Raikkonen and Juan Pablo Montoya (though it's more likely that it was in the round before in Monza that matters first pivoted). Then there is the fabled 1986 season when with two rounds left Nigel Mansell looked to have the title bought and paid for. Only for him to start the following Mexican race in third gear. This contributed to a fifth-place finish, which lost him the championship as much as the famous exploding tyre in Adelaide. There no doubt will have been plenty of other examples too. As for who prevails in the final round - whether it's the guy that did the bouncing back the race before or not - well it's a mixed bag. Whatever is the case this time Lewis still of course holds the aces, only needing to cruise in behind Nico in a fortnight to claim the crown. And such is the Mercedes dominance it would take something very strange for him not to do that at least, and with a bit to spare. But Hamilton knows all too well that last race title showdowns can be awkward affairs. Perhaps especially for him, as in 2007 and 2008 his conflict of driving for minimum-required points with his instinct to attack have been rather laid bare. Possibly learning his lessons he's insistent that this time come Abu Dhabi he'll continue to crank everything up to 11. Well, I think, the heat will be a big factor in Abu Dhabi - as you may see, Mercedes's reliability usually suffers in these conditions (Germany, Hungary and at last Singapore). Also I think, that the others will come closer to Mercedes, which is not so dominant in this mode, as is in relatively low temperatures. 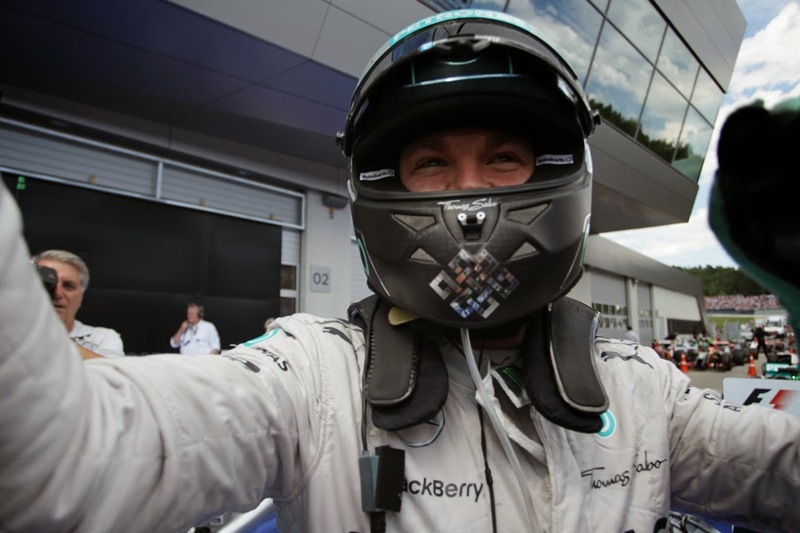 I guess, it could be good for Rosberg's cnances. On the other hand, pressure on Hamilton will be extreme and absolutely relentless - I have some doubts in his ability to concentrate on the second place. Anyway, it's just my own opinion.